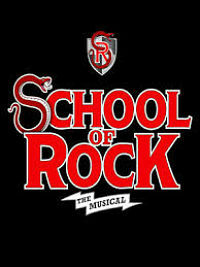 After recent news that SCHOOL OF ROCK - THE MUSICAL was looking to bring forward the date of its London opening. (producers originally announced it would begin performances at the London Palladium next year), but last month it revealed they were aiming to open the show at a different theatre in Spring 2017. The Daily Mail's Baz Bamigboye has just revealed that Andrew Lloyd Webber's show will now open at the New London Theatre later this year following the early closure of Show Boat beginning previews from October 24th, with an opening night slated for November 14th. Priority tickets go on sale on Monday 23rd May and on general sale next Wednesday 25th May with the show initially booking to 12th February 2017.